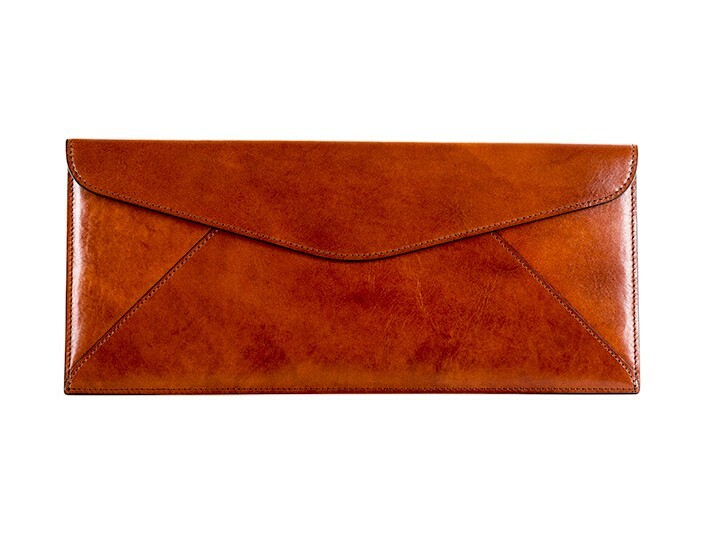 5" x 11.25" x 0.125"
Our Hand-stained Old Leather envelope is the most sophisticated and stylish way to organize that cache of receipts and similarly small and important slips of paper that are easily lost. The exterior is cleverly stitched to replicate a traditional paper envelope. Inside, you’ll find a moiré silk lining. A strong, invisible magnetic closure on the envelope flap ensures your important papers won’t slip out. 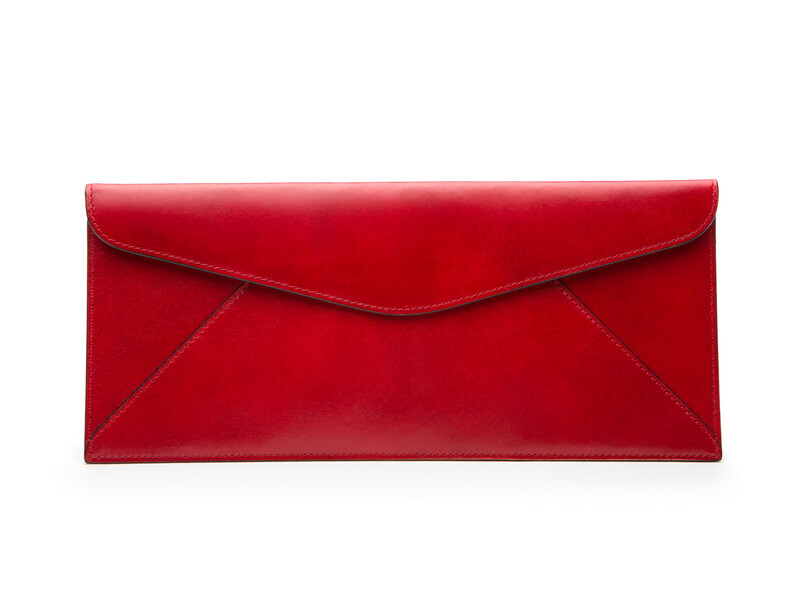 This is a gorgeous leather envelope. didn't know these were even made; great idea. It really helps me stay organized by having a repository for all of a day's receipts. Don;t mind walking around with it as it feels wonderful in hand. I purchased this item in amber as an anniversary gift for my husband. The leather is beautiful and the product is of nice quality. I was very pleased with the beautiful sturdy gift box (black) and tissue paper that were included. It made for a nicely presented gift. I think it was a little pricey but am overall very pleased with the quality and product. I will certainly consider purchasing other items from BOSCA! Thank you! Great product. Leather is exceptional. Would definitely buy again and would recommend it to someone else. 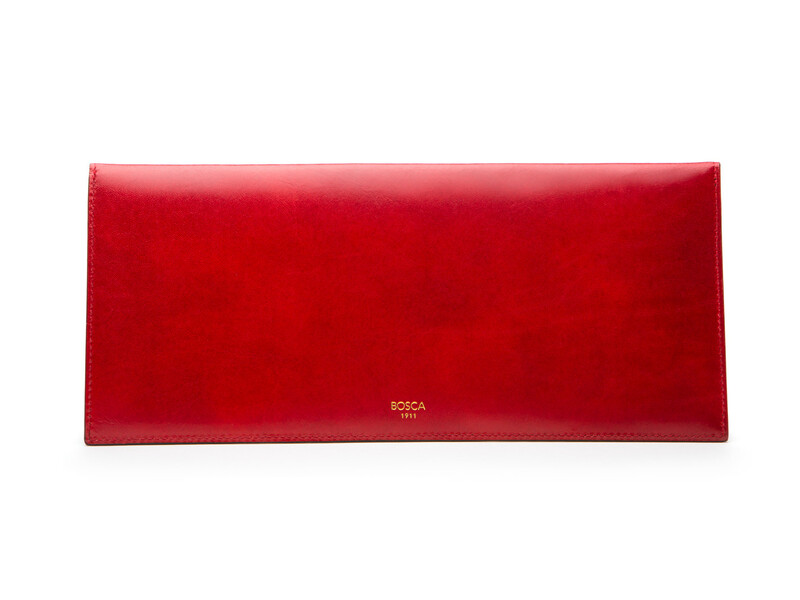 Pros: excellent quality, like all Bosca products, exceptional leather and quality feel to the hand. Durability should wear well with little care, fit for purpose. Professional look. Cons: not really a con however would have preferred this to match my other Bosca products in Nappa V.